Congratulations Princesses, families and sponsors on all the hard work that went in to building each float. The Floats were of a very high standard this year, making the judging quite difficult. Highly commended Ancient Egypt & The Bee Movie. Runner Up: Katie Perry California Girls with Tyara Smith and Trent Brewster, sponsored by South Coast Water Jet Cutting: Rochelle Goodwin and Jarred Hendrie sponsored by IGA Bawley Point. The Milton Ulladulla ExServos Club’s Parade at the Ulladulla Blessing of the Fleet Festival starts at 11.30am, from Crescent St Ulladulla and the Princes Highway. St Peter the patron saint of the Fisherman will enter the parade at the Ulladulla Civic Centre. The parade continues continues south down the highway, turning into South Street then left into Burrill Street finishing up at the Ulladulla harbour wharf. So get in early to obtain your favourite parade spot. 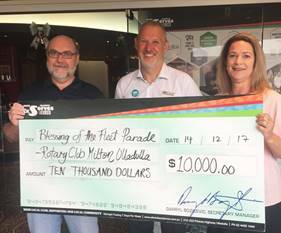 For the 8th year in a row The Milton Ulladulla ExServos Club is pleased to be involved with the Blessing of the Fleet festival, for the 2018 Festival by an increased commitment of $10,000 with a platinum sponsorship. 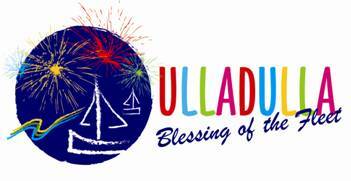 So don’t miss Ulladulla’s spectacular annual Blessing of the Fleet Festival on Easter Sunday 1 April 2018, one of the biggest festivals on the South Coast. 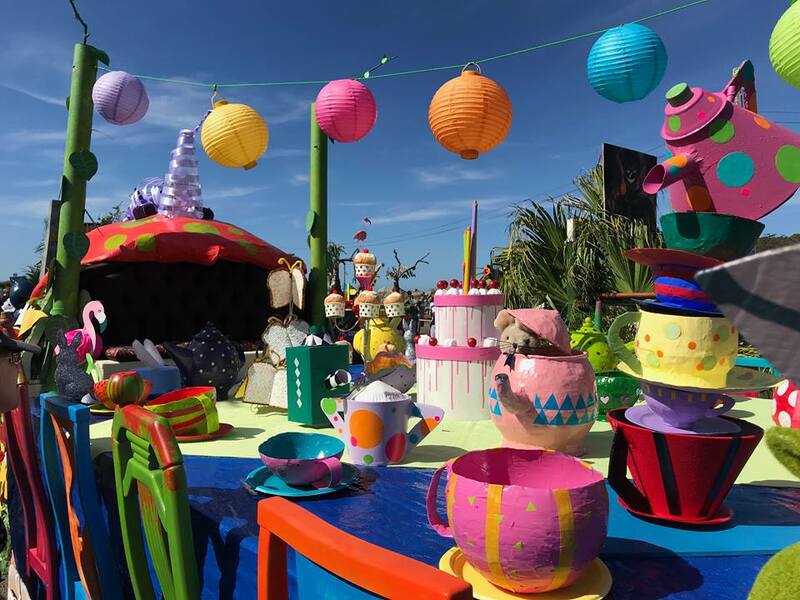 There will be a myriad of colour for the Milton Ulladulla Ex Servo Club Blessing of the Fleet Parade starts off the day with the wonderful and imaginative floats with the festival’s princesses and their partners. The Milton Ulladulla Ex Servo Club Blessing of the Fleet Parade is led by St Peter the patron saint of the Fishing Fleet following by the float of the winning Festival princess and her partner. Picture and video 15 December 2017: Presentation by Milton Ulladulla Ex Servo Club Secretary Manager Daryl Bozicevic to the Ulladulla Blessing of the Fleet Festival committee members Phil Brown and Leonie Smith. The Milton Ulladulla ExServos Club is the premiere club in the Milton Ulladulla region. An award winning club, it provides first class club facilities and services, in a safe, family-friendly environment. Situated on the Princes Highway in Ulladulla, the club is the only one in the area that is open to midnight, 7 days a week.